Florida might be better known as the Sunshine State but it also has a handful of tornadoes and hurricanes in its backyard. And when it comes to natural disasters, there are but a few as devastating as hurricanes. This is why you should plan ahead and prepare for such occurrences. The best way to accomplish this is to make sure that even if you suffer through a hurricane, you make a proper claim. And since most insurance companies will not be as willing to provide you with the ideal compensation, you might need professional help. 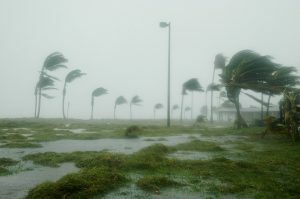 That help comes in the form of A-Z Claims Adjusters South Florida – your way towards the ideal hurricane damage insurance claim. Give us a call now and leave everything else in the capable hands of our public claims adjusters Florida. Focus your efforts on staying safe and salvaging what you can while we take care of your hurricane damage insurance claim. Why does your hurricane damage insurance claim need a public adjuster? The fact is that the average homeowner lacks the experience and knowledge in the area of the insurance claim process. On the other hand, insurance companies make a living off of this, which is also the reason they know the game through and through. Therefore, what is your way to even the field and have a fighting chance with your hurricane damage insurance claim? Simple really – all you have to do is hire A-Z Claims Adjusters Florida. Our public adjusters go through extensive training. And they have years of experience when it comes to fighting insurance companies for clients claims. We know all the tricks and hacks insurance companies practice. With us, they won’t be able to avoid paying the full amount for a hurricane damage insurance claim. And so, by hiring us, you basically get your very own claim champion for any possible type of damage. The sooner you get help from our hurricane damage claims adjusters in Florida, the better off you will be. Insurance companies see you and your property as a source of profit – our hurricane damage insurance claim adjusters see a person that needs professional help. Speaking from a legal standpoint, insurance companies (be it health, car, or damage insurance) are looking to pay as little as possible – they will avoid it if they can get away with it. To combat this, you need to prepare. Going into the complex US legal system by yourself would be like sending a cat into a lion’s den. Of course, insurance companies should, by logic, act in good faith towards you. However, they may not always do so. The problem with “good faith” is because it refers to the spirit of the law, rather than it’s written content. That is why you need our A-Z Claims Adjusters. We can make something worthwhile out of your hurricane damage insurance claim. We need to make sure that you receive the compensation that your policy dictates. Windstorm insurance. In some US states, such as Texas, there’s also something called the windstorm insurance. Some companies require that you also buy it due to an increased risk of cyclonic activity. It is usually compulsory. After all, there is a very little legal distinction between heavy winds, dust storms, and tornadoes in certain areas. Without these, your hurricane damage insurance claim may be disregarded. The Flood Insurance policy is definitely something you want to get out of the way. Unlike heavy winds, floods are much better defined in legal terms. That’s why it’s very hard for insurance companies to bail out of that one. Flood insurance covers your home from any external sources of a flood. This is the second part of what is in practice called hurricane insurance. Flood damage is very costly indeed. Just one inch (2.54cm) of flood water can cause on average $10,000 worth of damage with the average flood insurance claim costing $30,000. 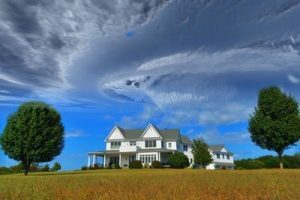 It’s generally a good idea to get additional windstorm insurance if you live in a particularly windy area. Of course, some areas are riskier than others. Citizens of Florida should know this. After all, Florida courts are flooded with insurance claims due to hurricanes every season. Your average hurricane damage insurance claim can be thrown out of court on some technicality. And insurance companies love to exploit those – it helps them turn a profit. Your insurance claim adjuster might have a hard time if you’re in the risk zone and you haven’t been covered with these policies in entirety. 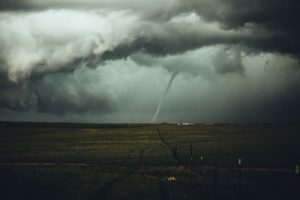 For the successful adjustment of your hurricane damage insurance claim, you need to have both the wind insurance policy and flood insurance policy. If you’re lacking one of those, it can turn into quite a legal hassle. Of course, the risks are higher if you live in a high-flood or high-wind area… especially both. The insurance company will have this in mind. And you will need a really good insurance claim adjuster to fight for you. So, what is my zone? Well, it depends. You can always look it up on Federal Emergency Management Agency (FEMA), by typing in your address. The riskiest zones are marked with “X” and “A”, and this is where most claims come from. However, if you live anywhere near a body of water, you should definitely get flood insurance. Your hurricane damage insurance claim simply cannot exist and doesn’t hold a chance if you haven’t thought this through several months in advance. Hurricane Katrina caused over $81 billion in damages. The price of insurance varies. Average homeowner’s insurance costs about $1000 on a yearly basis, while flood insurance costs about $700 on a yearly basis. Windstorm damage costs about $300-400 extra, so, with $2000 annually, you’re covered. However, remember that this largely depends on your home and property size and opulence, as well as the risk zone. So, if you have any trouble regarding hurricane damage, planning or claims, just give our A-Z Claims Adjusters a ring.